Soo, Diet Coke have again teamed up with a favourite beauty brand to give you a great little excuse to refresh your nail wardrobe whilst you grab a little refreshment… see what I did there!? Exclusive to Boots this Diet Coke Essie offer is only available from 27 April – 24th May (or whilst stocks last) you can buy a 500ml bottle of Diet Coke AND a bottle of one of three Essie shades for just £5.99. The three shades on offer are a trio of classic shades (including a long time personal favourite of mine). We have Cocktail Bling, Fiji and Fishnet Stockings. As you can see from the photos – Cocktail Bling is a mid toned dove grey, Fiji is a classic very pale pink and Fishnet Stockings a perfect red – that’s also remarkably similar to the iconic Coke branding red colour. Considering that to buy a bottle of Essie plus a 500ml Diet Coke would normally set you back £9.39 this is quite a saving. 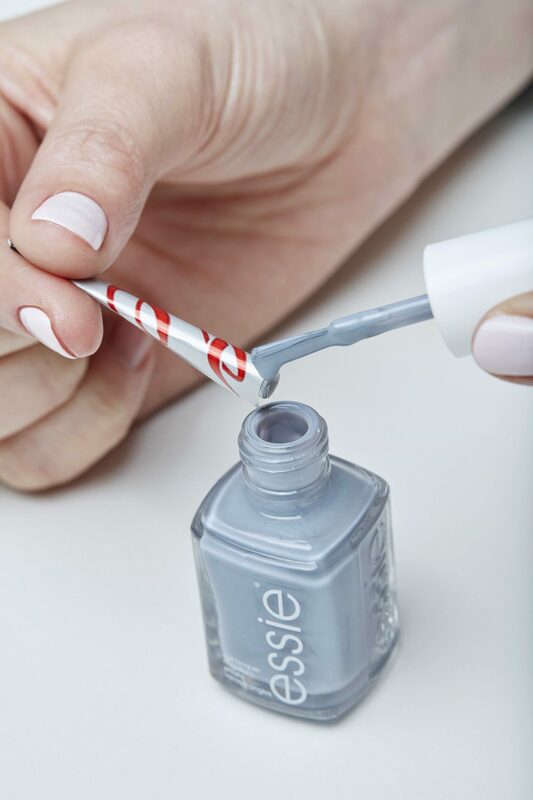 Diet Coke and Essie have collaborated on some cool and quirky nail hacks too – to give you some ideas on getting creative with your new shades so I wanted to share my favourites. 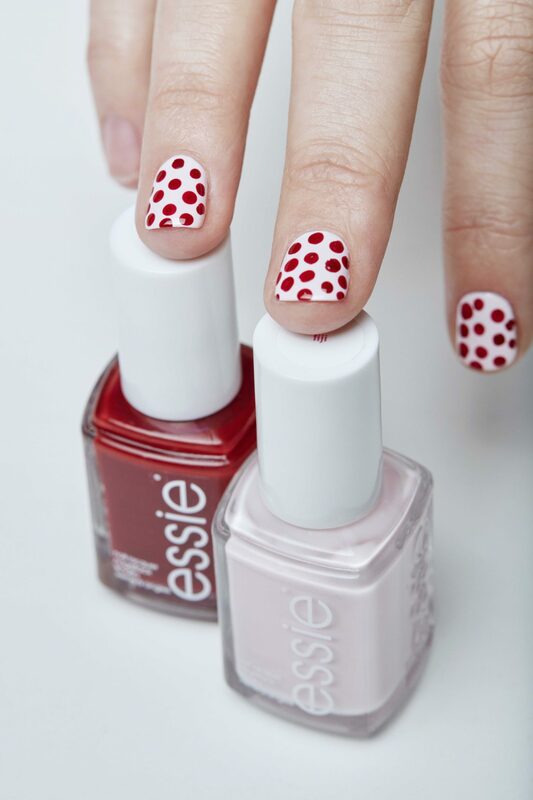 Nail Art – Use a kirby grip to create a cute polka-dot design with nicely even dots! This is Fishnet Stockings over Fiji as a base. Ombre – Create texture to add a fade of colour to the tip of the nail. This hack uses a rolled up Diet Coke label to dab on polish and add a little texture. I love the colour combination here of Fiji as a base with the pretty blue/grey of Cocktail Bling on the top for the texture. Basically, it’s an offer too good to miss. It is only until stocks last, so if there’s a specific shade you have your eyes on (hello Cocktail Bling…) then I’d be pretty speedy in going to pick up the combo deal and get your bargain Essie polish before they run out. 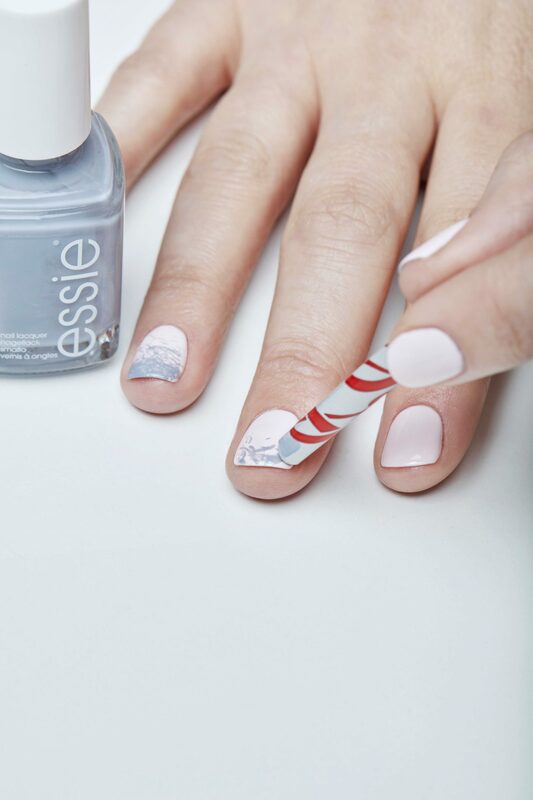 Diet Coke are inviting you to share your Diet Coke Essie nail looks and shots of you trying out the hacks using the hashtag #DietCokebeautybreak on Twitter & Instagram. 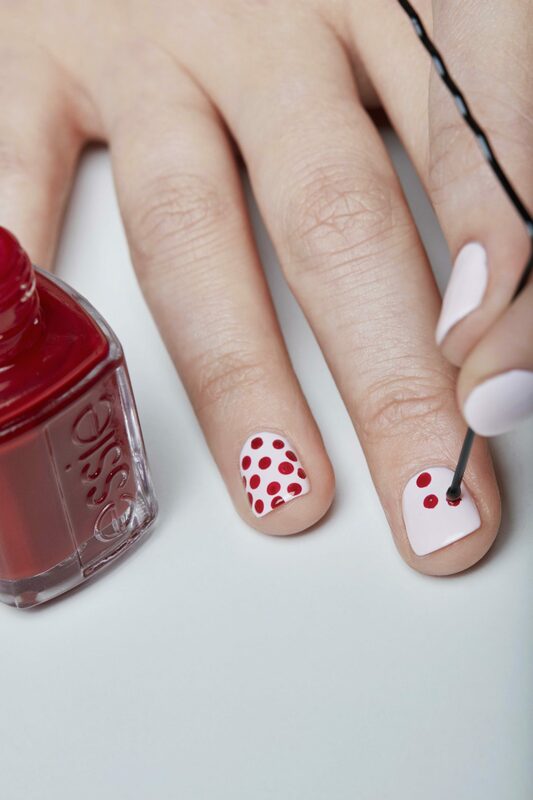 Diet Coke Essie Offer available in participating Boots stores only from 27/04/16 – 24/05/16. Age 13+ with terms and conditions of the offer here. Post sponsored by Diet Coke.